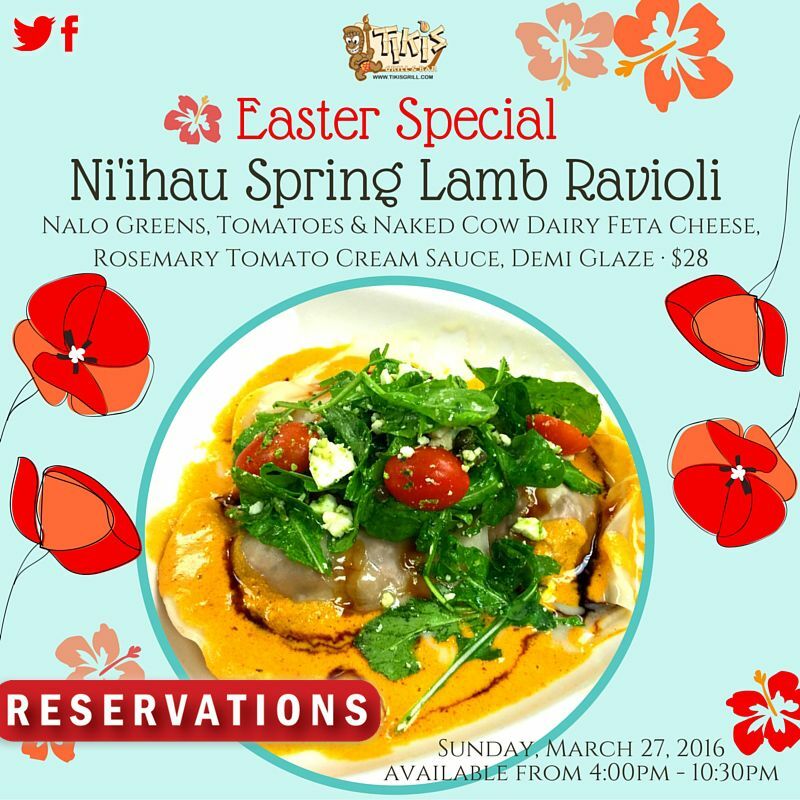 Our Easter Special: Ni'ihau Spring Lamb Ravioli, Nalo Greens, tomatoes & Naked Cow Dairy feta cheese, rosemary tomato cream sauce, demi glaze. $28. Available from 4:00pm - 10:30pm. Please call 808-923-8454 or make reservations at http://www.tikisgrill.com/reservations.